Now more than ever, local government needs to be efficiently and effectively managed. Residents cannot bear additional tax burdens: but still have the right to fire and police services, other municipal services, and protected open spaces. This can be accomplished by experienced leaders who have been in executive roles and know how to make tough tradeoff decisions. My proven integrity, experience, and leadership are crucial in meeting today’s challenges in this difficult economic environment. As 35 year resident of Easttown Township, Jim and Wendy Oram live in Berwyn and have two married sons nearby. In the community, Jim founded and served as president of the Berwyn Paoli Neighborhood Association. Preventing a zoning change that would have caused loss of residential homes from commercial development. 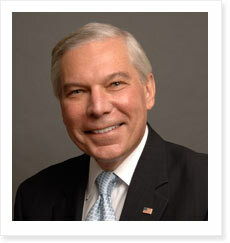 Jim has served on the board of the Children’s Aid Society of Pennsylvania for 30 years: as President and Treasurer. Currently he serves on the Board of Directors of Turning Points for Children, an organization that serves over 3000 children and 2100 families each year. During his 32 year career at IBM and the IBM Credit Corporation, Jim held management and executive positions. Today, as the CEO of Forge Business Solutions, Jim specializes in sales, marketing, and organizational consulting. 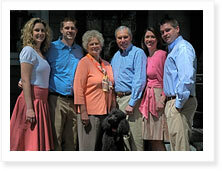 His clients include businesses in the insurance, legal, and health care industries. Jim continues to contribute pro bono work in the non-profit sector. Jim served three years in the United States Army as a Ranger and Company Commander in the 101st Airborne Division in Vietnam. A decorated combat veteran, he was promoted to the rank of Captain at the age of 23.